First thing: Can you believe how beautiful this handmade flyer is? Created by the contributor writer and artist, Aaminah Shakur! 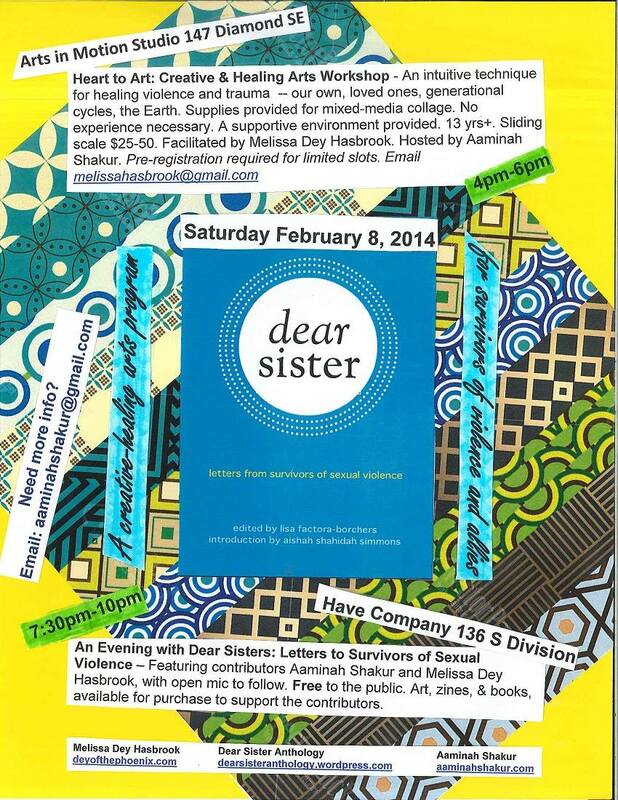 Aaminah and fellow contributor, Melissa Dey Hasbrook are hosting a great evening with healing arts and readings, followed by open mic for survivors. If you’re in Grand Rapids, MI — check it out! Come by and say hello!